In the world where survival of the fittest is the core of existence, each creature has to be equipped with every means to survive. All animals, (both predators and prey) have their own unique characteristics which they utilize to protect themselves and to attack when they are provoked. These defense mechanisms make some animals more dangerous than their other relative species. The ability to adapt and defend is very necessary for survival. Animals use their instincts to eat and survive in the wild. Prey should always be on guard for predators lurking in the dark and ready to attack any moment to feast on them. Predators on the other hand mostly depend on their size, speed, and ferocity to maintain their place in the food chain. In the animal world, looks can be deceiving. Distinguishing between danger and charm is difficult. Most people make the mistake of trying to domesticate a wild animal thinking that they are harmless because they look cute only to get hurt and shocked. Colorful animals are cute, and it is human instinct to want to touch them, but in the animal world if you touch these creatures, you might not live to tell the tale. A lot of snake species are extremely dangerous to humans. There are 450 species of venomous snakes in which 250 of these species are lethal. Most deaths are recorded in Africa, Asia, and North America. Here are some of the most lethal of them all. 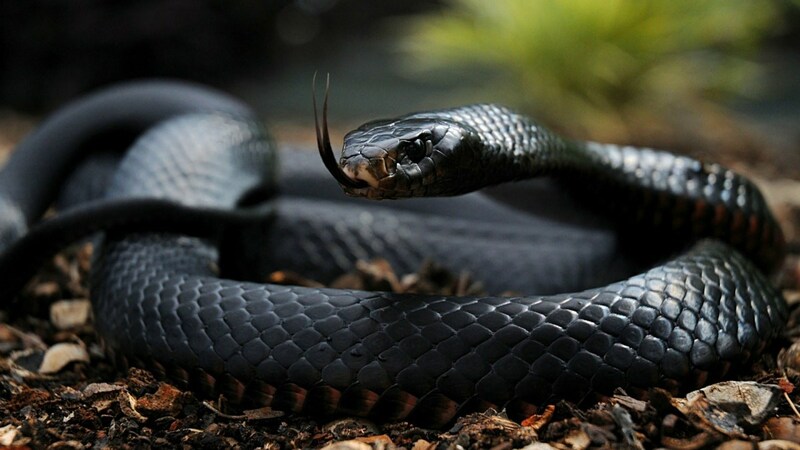 Black Mamba: This species is the most deadly in the world. They are most feared and they are the fastest snake on land reaching 20 miles per hour. They can attack and bite 12 times in a moment. The venom or neurotoxins are fast-acting, and can kill 10-25 adult human beings. Without anti-venom, the person is expected to die within 15 minutes to 3 hours depending on the nature of the bite. Black Mambas are extremely aggressive. They can strike even without provocation. They are called ‘death incarnate’ in Africa because mortality is 100%. Blue Krait: The most deadly among this species are the Malayan Blue Kraits. Their venom can kill 50% of humans bitten even with antivenom administered. 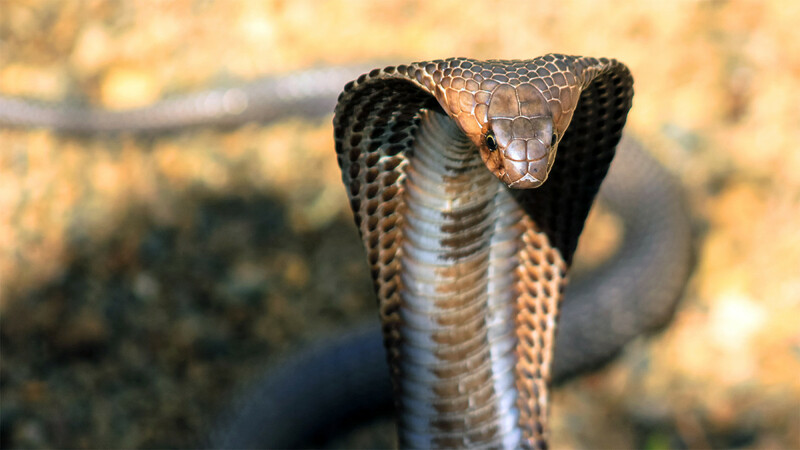 Their venom is neurotoxin and it is 16 times more powerful and potent than the venom from King cobra. Belcher's Sea Snake: If you are lucky, you can be bitten 3 or 4 times without any real danger because only a quarter of their population is venomous. But when venomous ones come along, they do contain the highest concentration of venom in existence. These creatures are extremely deadly but fairly docile. 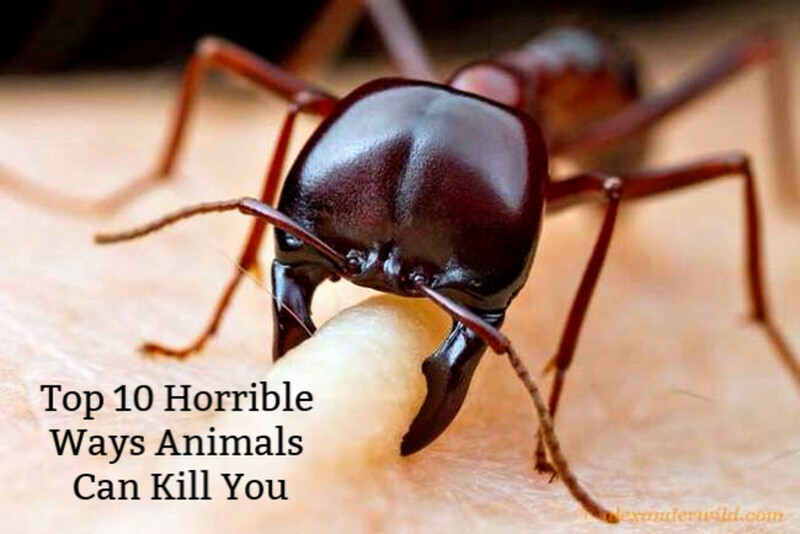 A few milligrams of their venom can kill 1000 humans. 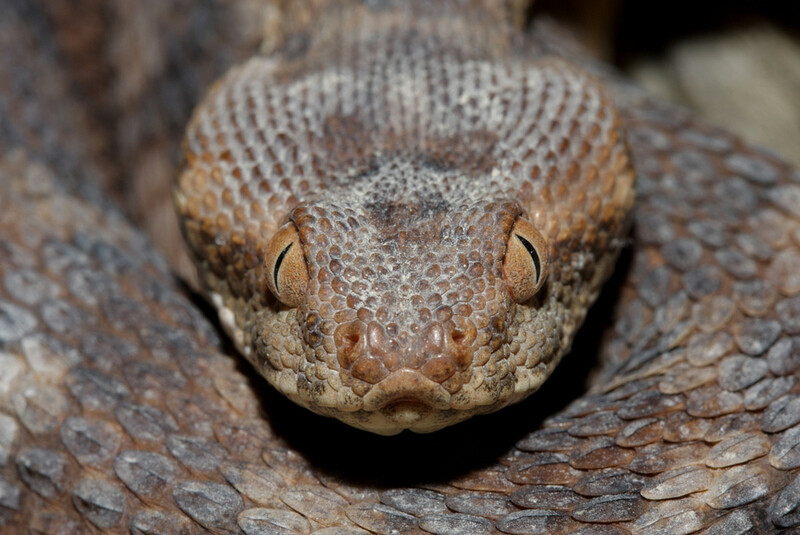 Carpet vipers: This snake species accounts for most of the snake-related deaths in the world. This is not the most deadly among the venomous snakes, but deaths occur in areas lacking medical facilities so the victims are often left to bleed to death. 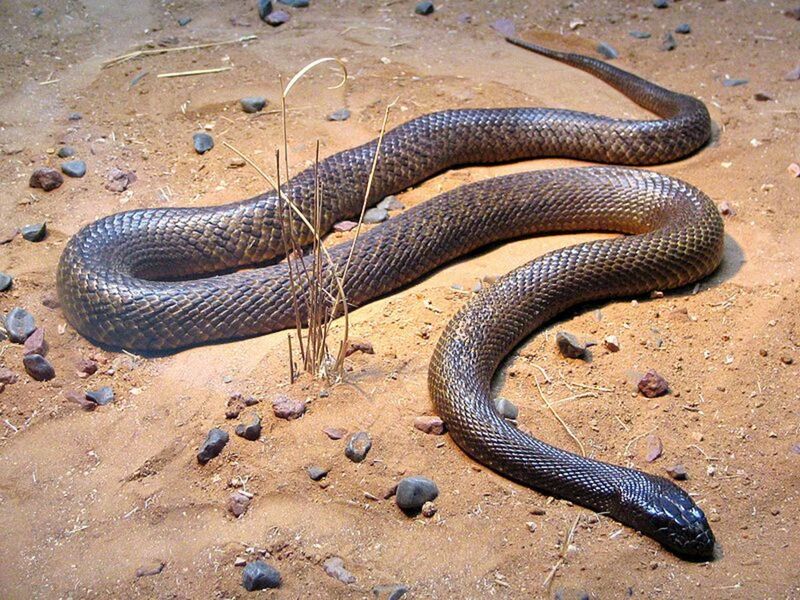 Inland Taipan: This species has the deadliest venom in the world. Their venom is enough to kill 100 full-grown men in one bite. They change skin color depending on the season. They are not naturally aggressive and only attacks when provoked. The venom can kill in a span of 45 minutes. 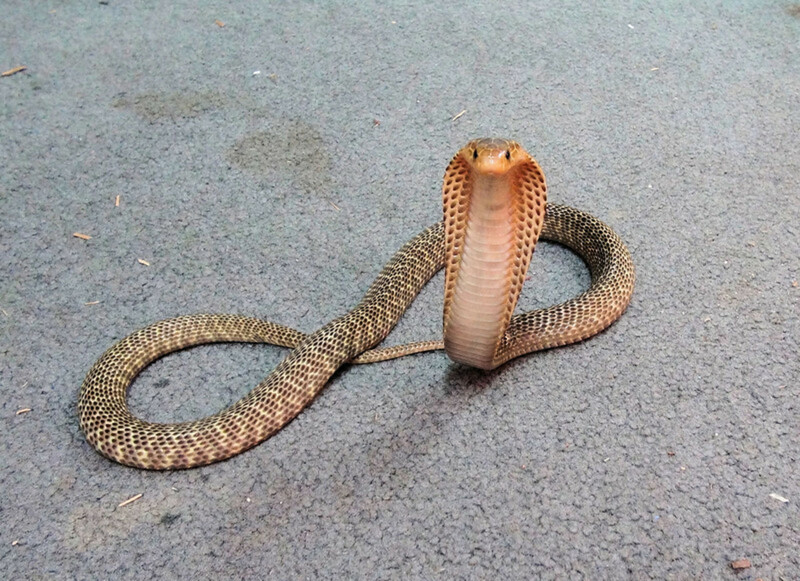 King cobra: The King cobra is very dangerous to humans. It is the largest venomous snake in the world. It is aggressive when provoked. The venom is enough to kill a human and it can strike for as many times in a single bite. Even larger Asian elephants can die when bitten by this ferocious snake on their trunks within 4 hours. It can kill 5 times faster than the black mamba because it has the capacity to inject venom 5 times faster than the “black death” snake. This is considered the most toxic animal on the planet. According to one study, a teaspoon of this bacterium is so powerful and deadly that it can kill all the inhabitants of the United States. And 9 pounds of this bacterium can kill every single human being on the planet. It is a neurotoxin which targets the brain and the nervous system as a whole. It is found anywhere on earth on the soils that sprouted from the ocean floor. It is mostly inactive, but when the perfect condition activates it, there’s no escaping it. No animal has been reported to have survived it. Humans should be extremely careful especially when eating processed foods. Home-canned foods that were not properly processed and prepared and honey are most likely to carry the spores of these bacteria. Children are at most risk because their immune system is not yet well-developed to fight against C. Botulinum. Without proper medication, cases of botulinum poisoning often lead to death. 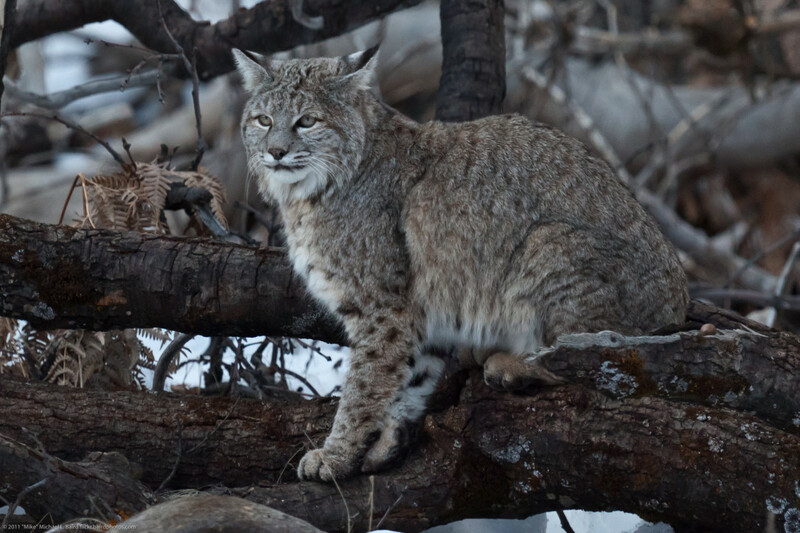 Should wild animals remain in the wild despite poaching and hunting? These creatures are very colorful and they are one of the best if not the best in the field of camouflage. When they are cornered and threatened the iridescent blue rings begin to form in the maculae and the brown patches darken dramatically. 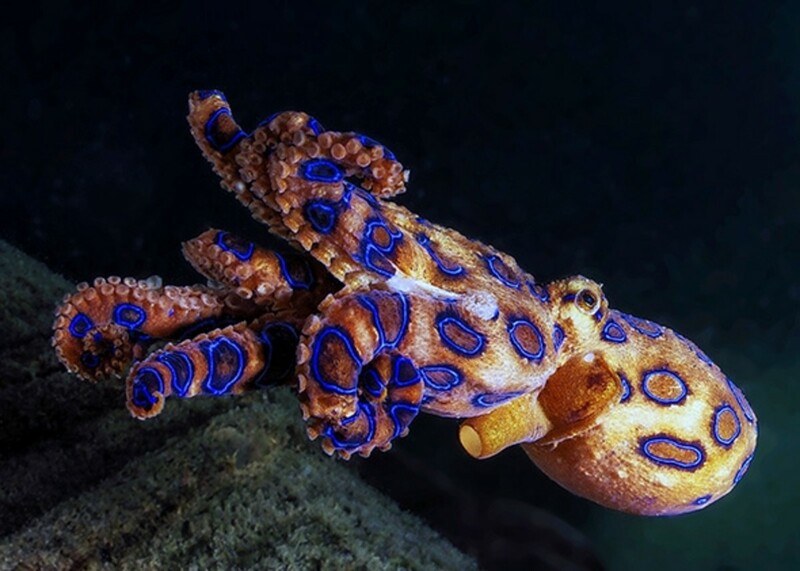 They are considered one of the most venomous animals in the world. They are only a size of a golf ball, but their venom is so potent that it can kill 26 full-grown men. What’s worse, there’s no antidote. The bite is not painful, but within a few minutes, the unsuspecting victim will begin to experience paralysis leading to death. The venom contains tetrodotoxin which is a kind of neurotoxin capable of killing humans. Tetrodotoxin is believed to be 1200 times more lethal than cyanide. The symptoms include blindness, heart failure, nausea, severe and in some cases total paralysis, respiratory arrest, and death within minutes if artificial breathing is not administered to the victim. Once the artificial breathing apparatus is used to help the patient breath, one can wait for a few hours until the toxin is dissolved and metabolized by the body. Other than that, nothing else can be done as there is no antidote to the venom yet. It is the most venomous animal in the world. More than 5,500 deaths in the world accounted for box jellyfish encounter since 1954. Their venom is the most painful and extremely fatal. It targets the central nervous system and unless there will be immediate treatment, the victim will be dead by the time a CPR is given. Box jelly fish inhabits the Northern Australian waters as well as most of the area around the Indo-Pacific. They are pale blue in color and very transparent which makes them difficult to spot in the water. They have 15 tentacles in each corner of the bell that can grow to as long as 3 meters (10 feet) in length. 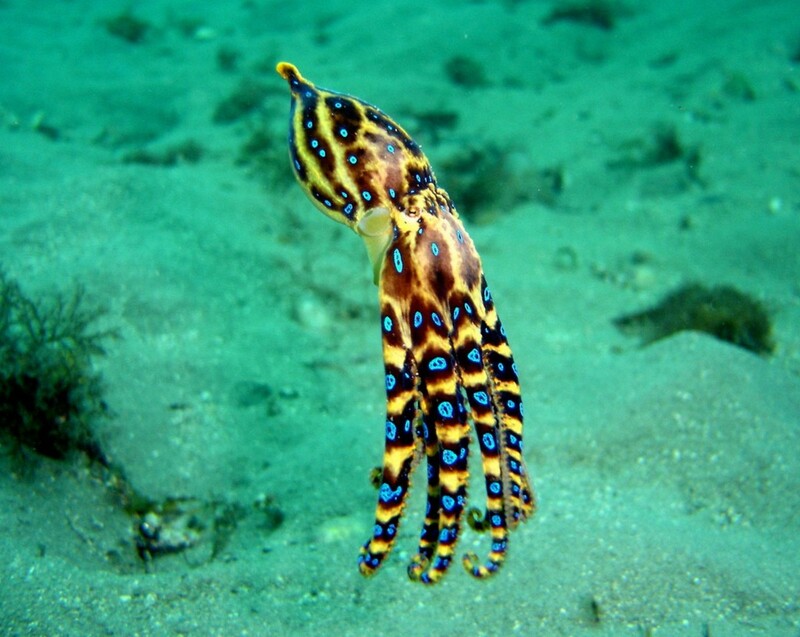 Each tentacle contains 5000 stinging cells that can release lethal dosage of venom. 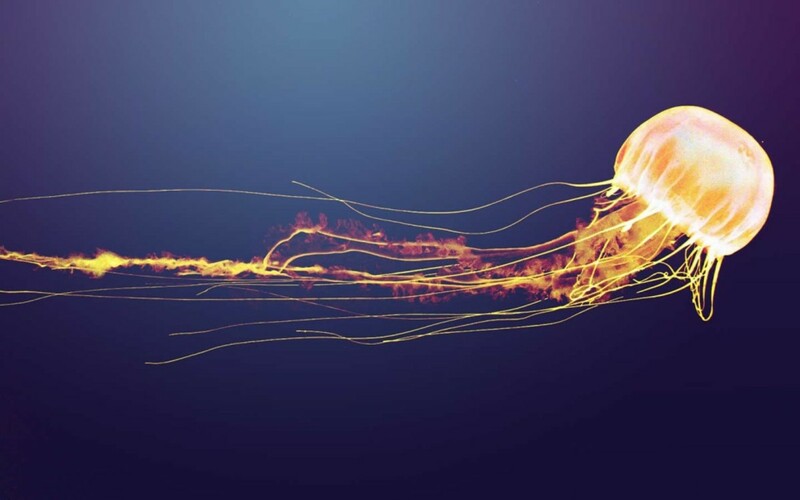 Contrary to what most people believe, the stinging cells of a box jelly fish are triggered not by touch but by the chemical component found in the outer layer of the skin. The venom is so lethal and excruciatingly painful that human victims were reported to have gone into shock and drowned or died of heart failure before anyone could have asked for help. Vinegar is often used as a first aid to treat minor stings but for severe emergencies, immediate help is necessary. The pain lingers for a long time and even when the victim has fully recovered, the scars will tell where the tentacles have been. The African Lions are considered the kings of the jungle. They are one of the fastest and most powerful animals in Africa. They are on top of the food chain and one of the fiercest and deadliest predators in the world. African lions belong to the Big 5 in Africa. They hunt in packs and are extremely dangerous. Female lions are usually the hunters. They are extremely fast, equipped with razor-sharp claws and teeth. They hunt cape buffaloes, gazelles, deer, zebras, and wildebeest. They don’t normally hunt humans but when they are provoked, it is almost impossible to survive their attack. In some instances though, lions do seek out human preys like in the case of man-eating lions of Tsayo in Kenya where 29 humans were killed in 3 months by sick male lions. The only natural predators of the lions are the crocodiles (humans are not natural predators). They kill their prey through strangulation. They kill at least 200 humans a year. The video above shows how deadly lions can be not only in the wild but also in the confined spaces of the zoo. They are fearless and strong. When they are agitated or when they are hungry, they can attack fiercely. Sharks are the most feared animal on the planet. It is not surprising then if they are included among the most dangerous animals in the world. 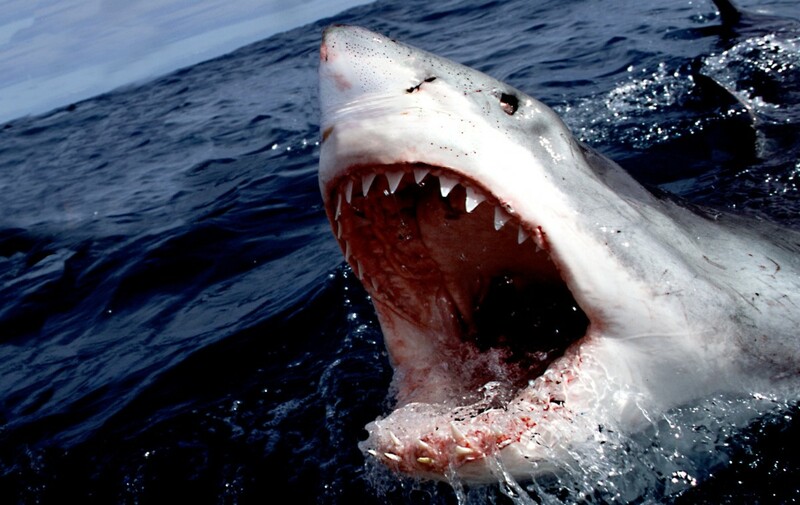 The Great White sharks are the most ferocious and deadly among the shark species. They have no natural predators except the killer whale and they sit atop the food chain. 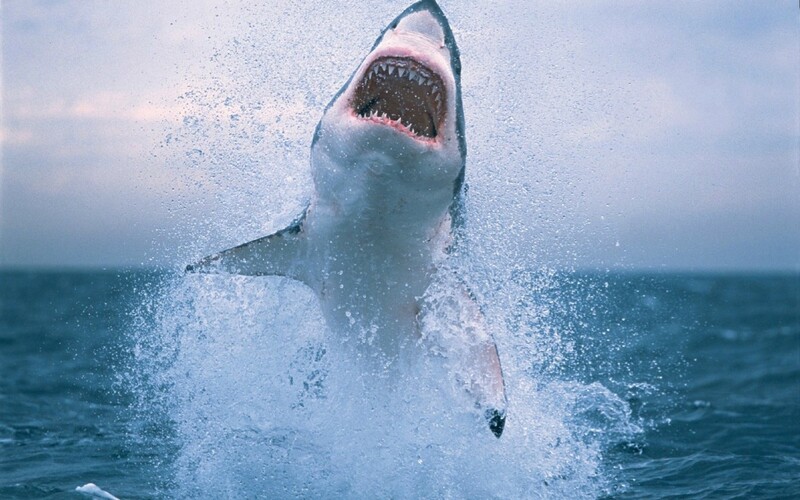 Great Whites have poor eyesight but their sense of smell is very powerful and they can detect blood in a 3 mile radius. They are extremely fast swimmers averaging 35 feet per second.When they are hunting they can breach (surge out of the water) for as high as 10 feet with a burst speed of 56k/h. They are massive and can grow up to 20 feet long. Their dagger-sharp teeth and powerful jaws are the perfect powerful combination. They can rip off a chunk of 31-pound flesh in a single bite. Although sharks are natural and deadly predators, they do not normally attack humans. They are extremely curious and they love to ‘test bite’. 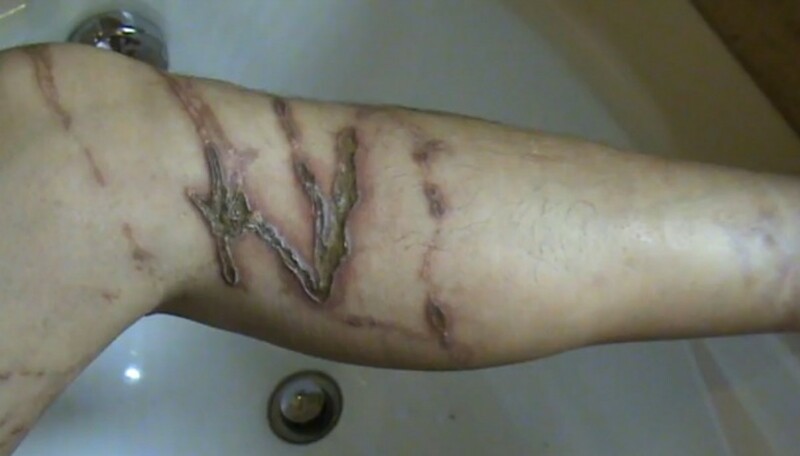 Human encounters with sharks are often reported to be just a "test bite". 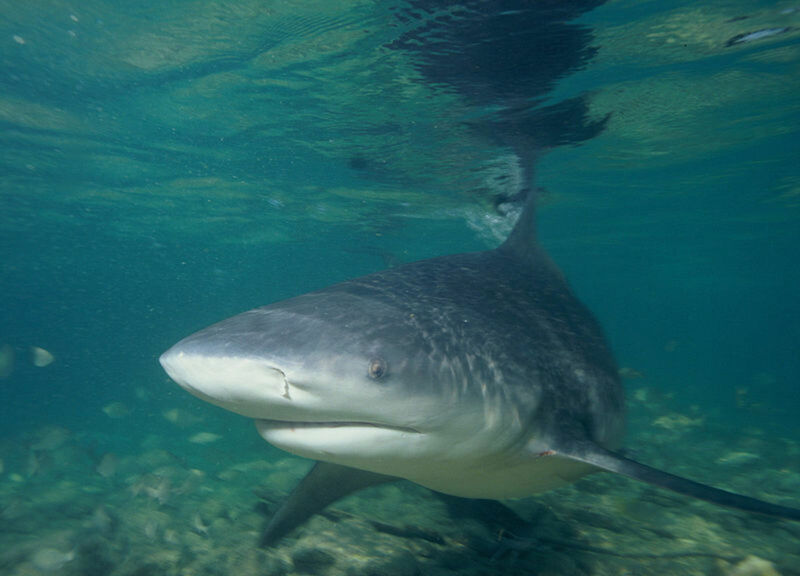 Human encounters usually happen in waters with poor visibility and sharks cannot see very good in the water. They don’t like humans though because humans are too bony. Their digestive system cannot easily cope with high ratio of bones to muscles and to fat. They prefer “fleshy” animals like seals and sea lions because their diet consist mainly of fat and proteins. In shark bite incidents though, humans were reported to die of blood loss. Shark typically lets go of humans after the initial bite. 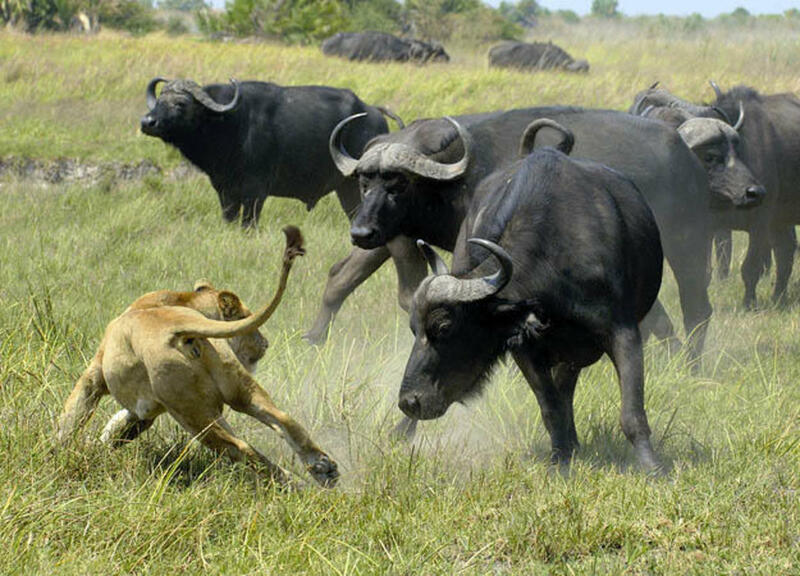 Cape buffaloes: This animal is very unpredictable, highly aggressive even without provocation, wild and can never be tamed, and deadly. They belong to the Big 5 which comprises the other four most dangerous animals in the continent of Africa namely: African elephant, African lion, rhinoceros and leopard. They kill more than 200 humans a year. They have very thick skin and one bullet is not enough to kill or bring down a cape buffalo. They are the most dangerous when wounded because they still attack from behind when the prey or the hunter is not aware. They always come in herds and they are extremely intimidating. A double-barreled rifle was invented specifically to kill a cape buffalo. In Africa, they are considered the widow makers or the Black Death. Even lions wouldn’t want to mess with these unpredictable creatures. Leopards: Leopards like most wild animals avoid human contact as possible. 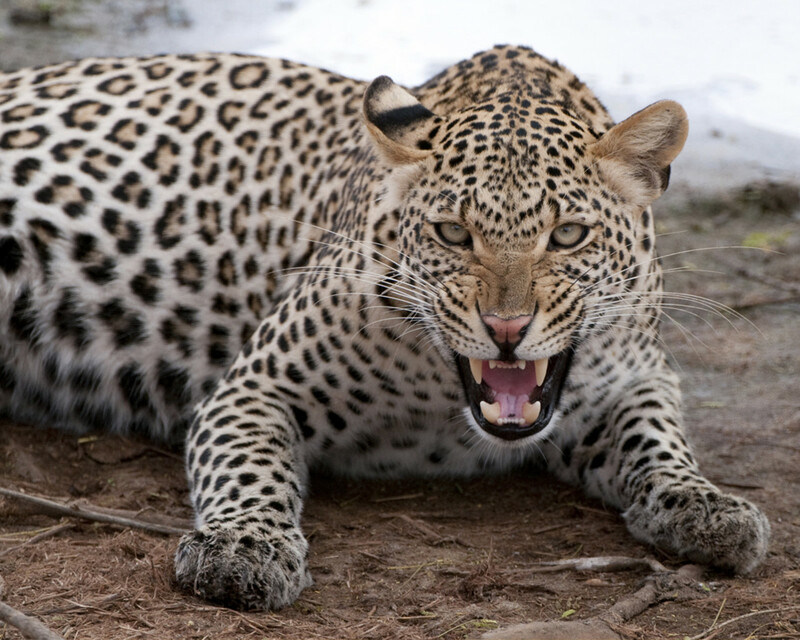 However, when food is scarce in the wild, a hungry leopard may see humans as prey. Although they very much prefer wild animals, when they are injured, weak or sick, they easily see animals as weaker prey than gazelles or dear for example. 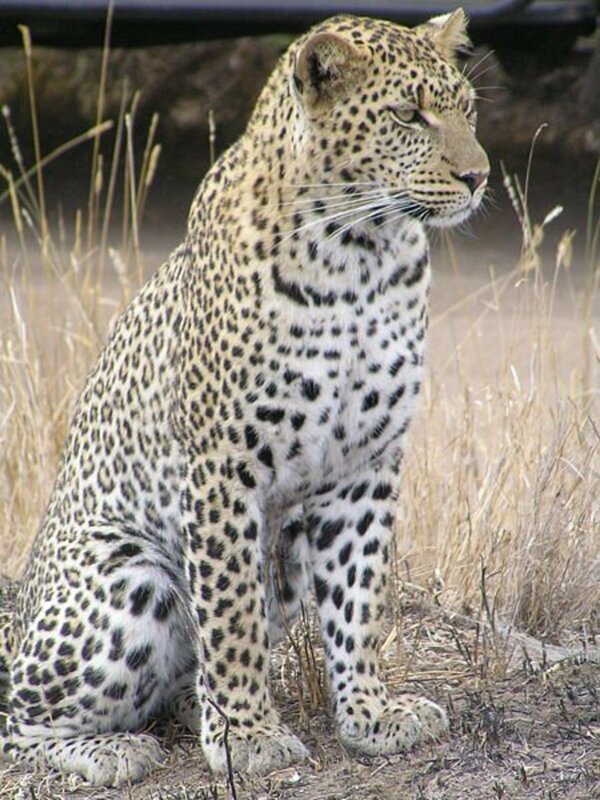 A leopard may be smaller than tigers but they are more agile and they can climb trees. They can easily overpower a mature human male and kill it without any difficulty. 2 most extreme cases of leopard eating humans were recorded in India. One leopard killed 125 humans and the second one killed more than 400. Both were hunted by Jim Corbett. 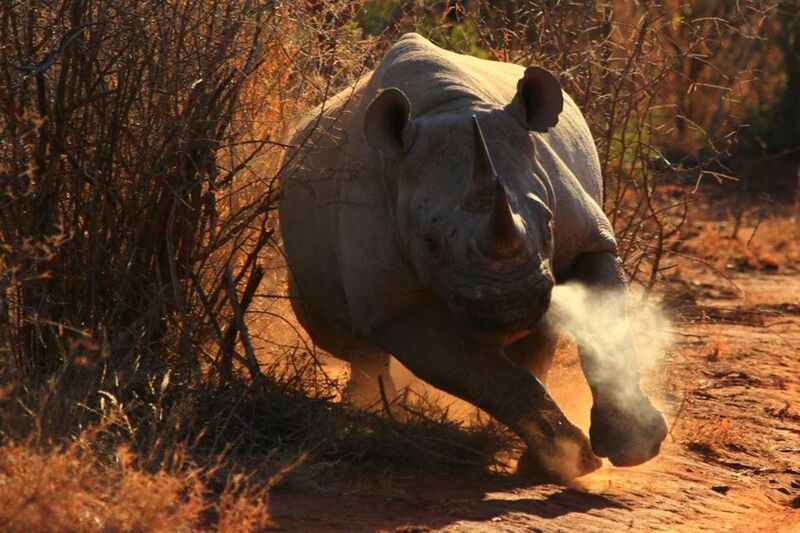 Rhinoceros: Rhinoceros are unpredictable, irritable and dangerous animals. They are short-sighted and so they charge at almost anything they think are dangerous with full force. They are territorial and protective of their offspring so getting in their way will make you pay dearly with your life. 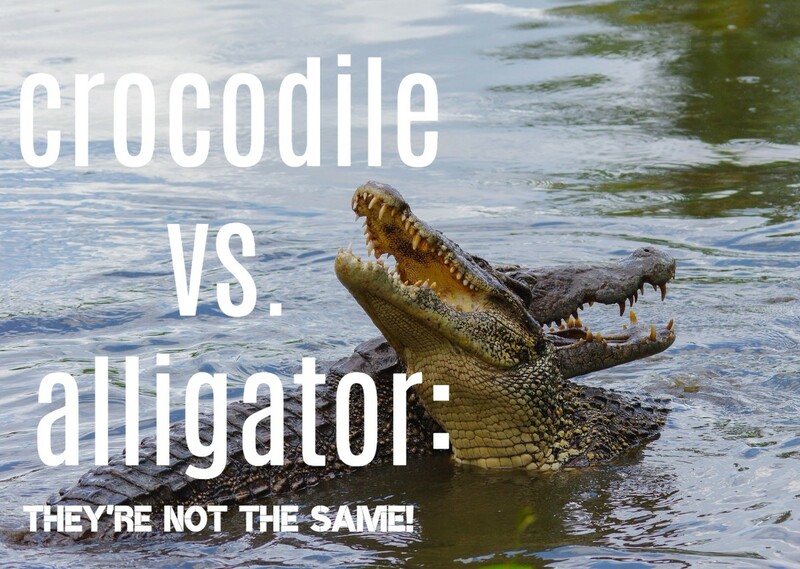 Saltwater and Nile Crocodiles are the most dangerous reptiles in the world. They are the largest reptiles and the oldest living specie since the dinosaurs being around for 200 million years now. They are very fast, agile and powerful. They are ferocious. They kill their prey by drowning and ‘death roll’. They feast on humans, sharks, other mammals and anything else they fancy. Their jaws can clamp a 300 pound human in one second when inserted with a 3000-pound pressure per square inch. 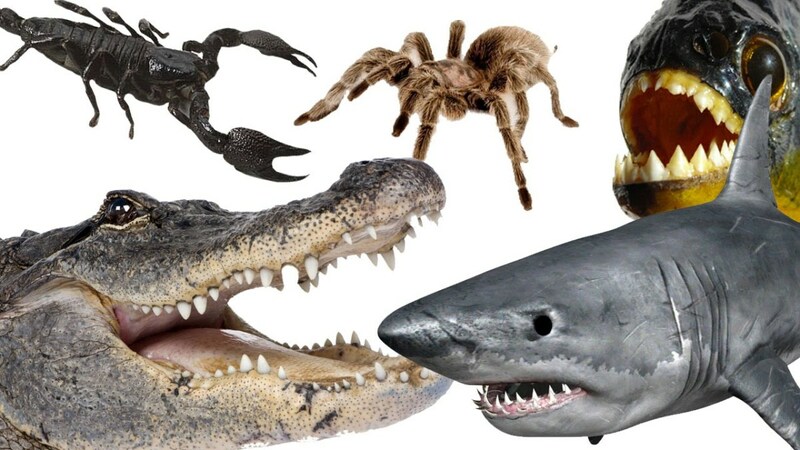 Every year there are more than 2000 human deaths recorded due to crocodile attacks and most of them fisherman and folks living near the riverbanks and lakeshores of Africa, Australia, America and Asia. They can hold their breath for 2 hours without any detection from unsuspecting victims which makes them really deadly. 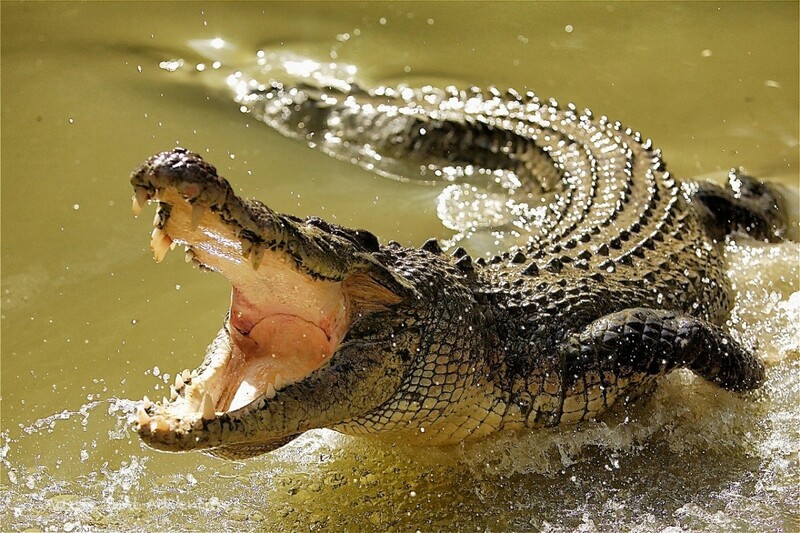 Saltwater and Nile crocodiles kill hundreds of humans every year especially in Southeast Asia and Africa. Surprisingly, most human encounters were with dominant males. The Asian and the African elephants are the 2nd most dangerous animals in the world. Humans consider them very friendly and entertaining especially in the zoos. 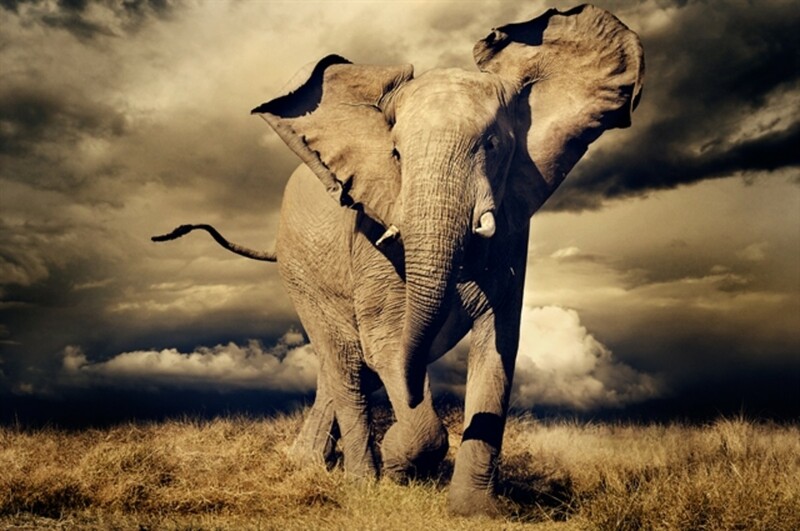 However, elephants are very different when they are in their natural habitat…in the wild. 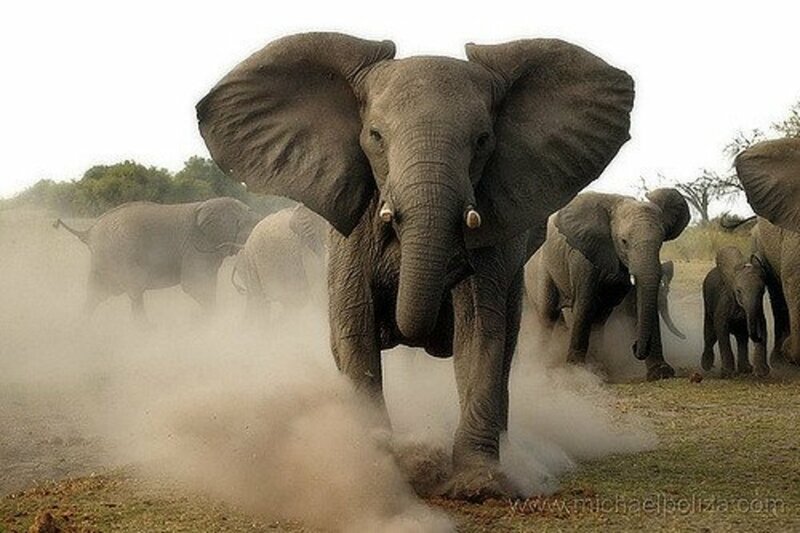 They are the biggest land animal and they are the most powerful. Their massive size and weight of 12,000 pounds are what makes them very dangerous. They can trample on anything and crush anything that gets in the way when they are provoked or irritated. 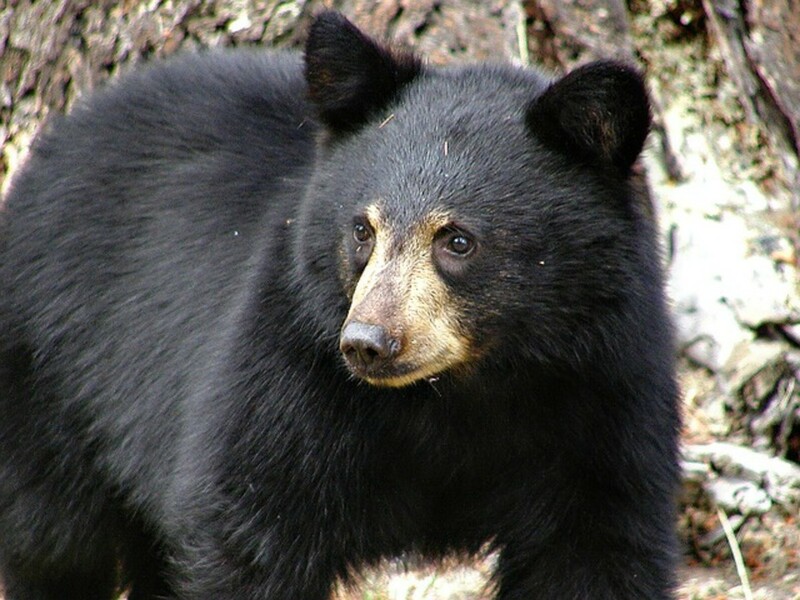 Their huge ears enable them to hear any noise from far away and their sense of smell can reach one mile. They are very smart and strong. Their 11 pounds brain can keep a huge chunk of memory so they don’t forget a wrongdoing easily. 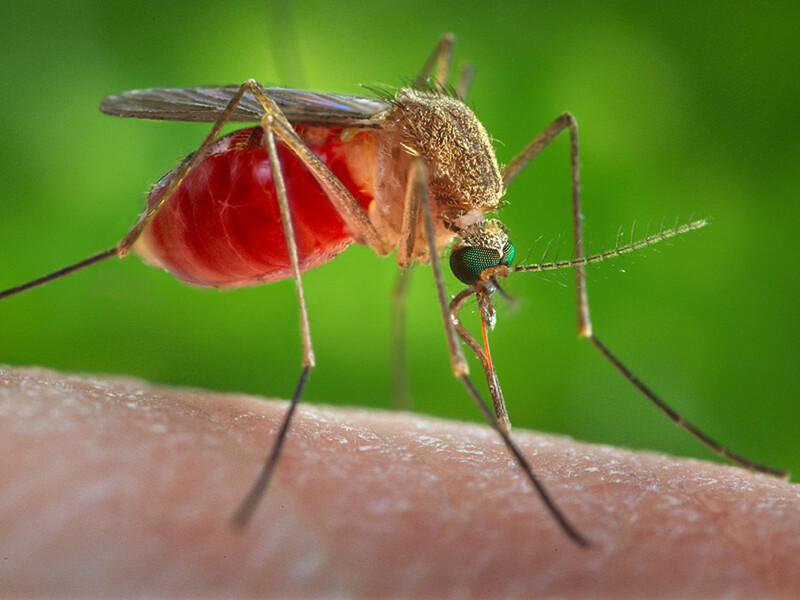 You may be wondering why mosquito topped our list of the most dangerous animals. While they are significantly harmless most of the time, and while they are not harmful themselves, mosquitoes are actually responsible for infecting 700 million people in the world with diseases like malaria, dengue fever, yellow fever, elephantiasis, roundworms infection, West Nile virus and most recently, Zika virus among others. They cause the highest death toll in history than any other larger animals living on earth. Malaria is the leading cause of worldwide death especially in Africa and it still continues up to this day. 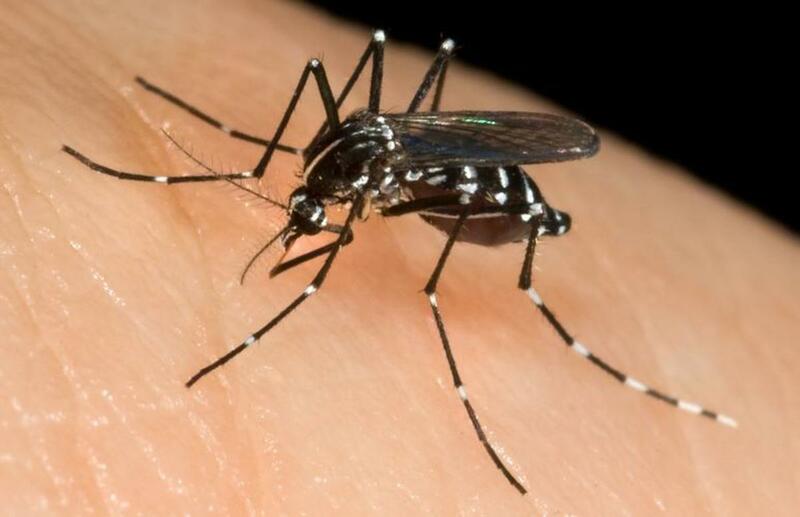 Aside from these lethal diseases they carry, mosquitoes, in some other parts of the world are deadly on their own. They can kill without transmitting diseases. In the outback of Australia and southern part of the Sahara desert, mosquitoes are feared because they attack in swarms. Billions of them attacking the bigger animals or even humans while draining them of their blood in less than 10 minutes. What is the deadliest spider? There is really no definitive answer to this question. However, the Sidney funnel web spider is believed to have the most number of bites and human fatalities on record among all spiders. Its fangs can penetrate toenails and fingers and can kill within 15 minutes in worst case scenario. Black widows are also deadly. Brown recluse spiders aren't as much as well as tarantulas unless you are allergic. Oh no! I would so punch a shark if I could safely, lol. 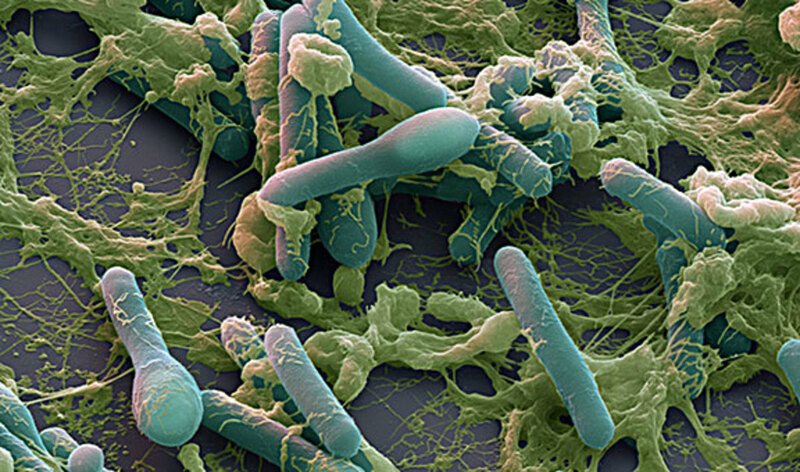 This is a really interesting article and I had no idea about the bacteria - sounds horrible! Interesting and great hub, thanks for the read.